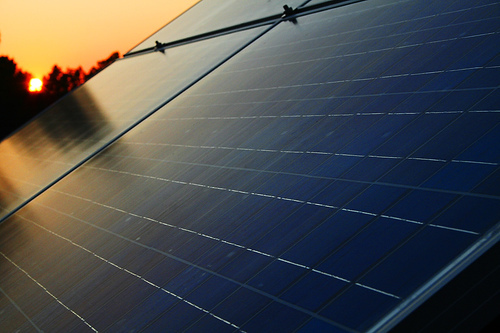 When it comes to renewable energy, solar energy really shines. For example, the U.S. Energy Information Agency projects that in the U.S., utility-scale solar capacity will have increased by 90% between 2014 and 2016. In fact, in 2014, a record 40GW of solar power was installed globally, pushing the world’s total solar capacity to 100 times the level it was in 2000. That being said, . as the solar industry grows, scientists and businesses have been thinking up new ways to reduce cost, increase efficiency, improve aesthetics and create options for off-grid solar. I researched some of these innovations, and here’s what I’ve found. People in the solar energy industry have been grappling with apparent tradeoff between efficiency and cost — for example, second generation “thin film” PV cells are cheaper to produce than first generation crystalline silicon ones, but are less efficient. One material that’s been creating waves in the scientific community is perovskite, a crystalline organometal, comprised mostly of calcium titanate. Perovskite deposits are found all over the world, and it costs significantly less to obtain than silicon does. However, its light absorbing and semiconducting capabilities are potentially even more efficient than silicon — traditional silicon-based solar panels use materials that are at least 180 micrometers thick, but perovskite panels that are are less than one micrometer thick can capture the same amount of energy. Over the past decade, researchers have focused on making strides in efficiency for solar cells — mass market PV panels have on average 15-16% efficiency, while conventional electricity generation converts about a third of a fossil fuel’s potential energy into usable energy. Tandem solar cells use more than one semiconductor material to convert the sun’s light into electricity more efficiently than a single semiconductor would: for example, silicon is good at absorbing photons at the top of the solar energy spectrum, while perovskite tends to capture lower infrared photons. Combining the two, then, allows the cell to absorb a larger range (up to 50% more!) of solar energy. Similarly, researchers at the University of Utah, too, placed a layer of gallium indium phosphide and a layer of gallium arsenide — a “polychromat” — on top of a conventional photovoltaic device, which increased efficiency by 16 percent. Efficiency is also linked with flexibility: The more surfaces you can place solar cells on, the more possibilities there are to harness the power of the sun. 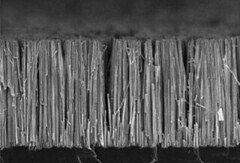 Researchers have been looking into using flexible solar cells made of nanowires, which are like tiny hairs made from various rare materials that are 10 to 100 nanometers wide and up to five microns long. Due to its radial geometry, producers have greater design freedom in creating PV cells using this material system, while also taking advantage of the fact that cells made of nanowires can maximize light absorption and could theoretically achieve 40 percent efficiency. Another breakthrough is in thin film technology: second generation “thin film” PVs harness thin films of various minerals to maximize efficiency, and these panels have gone from low single digit efficiencies to nearly matching silicon. Perovskite in particular has shown promise because of an upcoming “spray-on process” which would allow perovskite to be applied in a thin uniform layer on almost any surface, meaning solar panels could be mounted on non-flat surfaces that would not be possible with silicon panels — from small personal electronics to cars. Another barrier to large-scale solar power is aesthetics: solar panels can be pretty intrusive, and ugly. Researchers at Michigan State University have worked to create a fix for that. They’ve made transparent solar panels by utilizing a transparent luminescent solar concentrator, which consists of organic salts that absorb non-visible wavelengths of UV and infrared light and guide this light to the edge of the concentrator, where thin strips of conventional PV solar cells then convert the light to electricity. As of April 2015, an MIT Startup, Ubiquitous Energy, is working to bring these transparent panels to market. Another company, SolarWindow, is developing coatings made of organic materials which create electricity on see-through glass and flexible plastics. These coatings are still in development and not on the market, but have been undergoing testing of their durability in an effort to meet or exceed warranty periods for commercial-grade insulated glass units installed on tall towers. One of the biggest problems with large-scale solar is that not only are the batteries used to store electricity (grid energy storage) expensive, but also a lot of electricity is lost in transmission from the solar panels to external storage. Researchers at Ohio State have created an elegant solution to this problem: a lithium battery that recharges via a built-in solar cell. According to the researchers, using this battery will be 25% cheaper and 20% more efficient than traditional grid energy storage. Perhaps the biggest advantage of solar power is its potential to be used in areas without wider energy infrastructure in place. This is especially important in the context of humanitarian relief infrastructure, which still relies heavily on gasoline and diesel generators that require a steady supply of fuel to keep running and can be a fire hazard. After a disaster, it’s nearly impossible to reach out to loved ones with a dead mobile phone, and equally difficult to administer relief without light, so these off-grid solar lights and charging stations are essential. 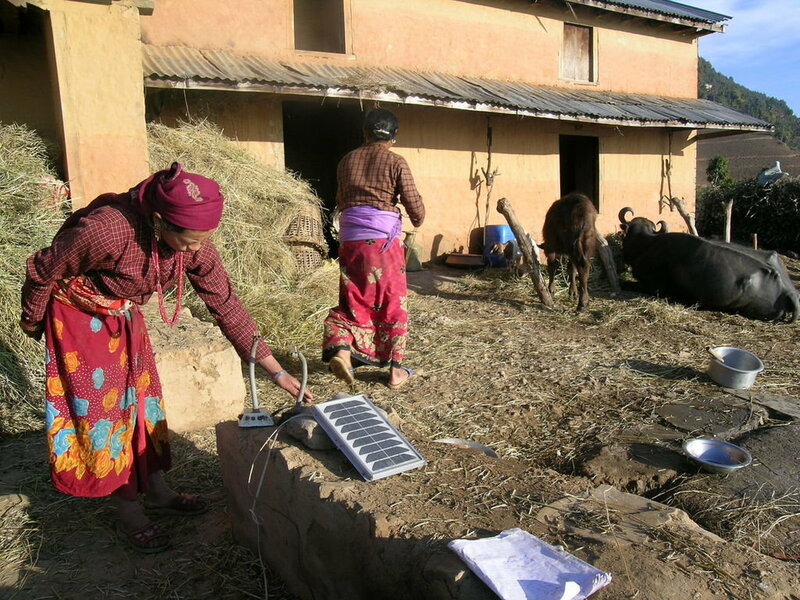 In light of the April 2015 earthquake in Nepal, a local solar company, Gham Power, launched a campaign called Rebuild with Sun that aims to distribute as many solar power systems and microgrids to affected areas as possible. From tandem solar to small microgrids and solar rechargeable batteries, there are many ways solar technology has evolved to increase efficiency and accessibility. We’re looking forward to what’s next. How do you move the Planet Forward? Share your thoughts in the comments below, tweet us @planet_forward or contribute to the conversation with your own story via Idea Central.